Ski Rossendale’s mission is to create a winter sports centre of excellence whilst promoting community participation in recreation and sport. 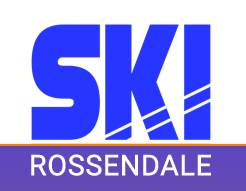 Ski Rosendale was formed by snowsports instructors Dave Fuller, Karon Driver and Sue and Steve Foulkes after acquiring the lease from Rossendale council to run and develop Ski Rossendale. We are now developing Ski Rossendale as a facility where all people can come together to have fun, whilst learning to Ski and Board. It has long been an iconic leisure facility in Rossendale and we aim to once again put Ski Rossendale on the map as a ‘must visit’ attraction within the North West of England. Our new beginners and intermediate slope opened in Nov 2016 ans the new main facilities building will be open for the Winter 2017/18 ski season.